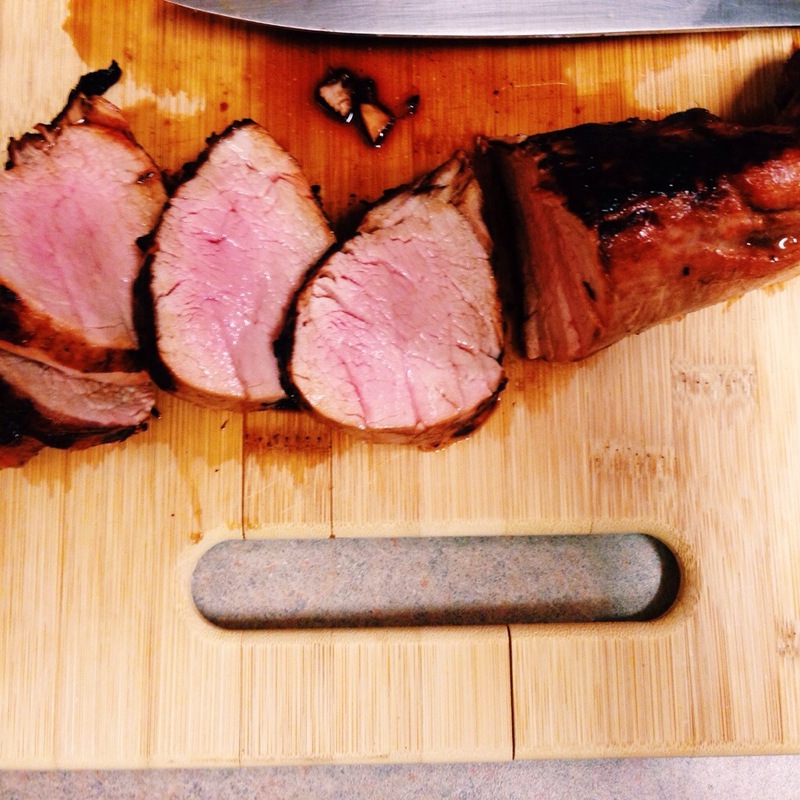 I make this pork tenderloin constantly for any occasion, weak night meals or even for dinner guests. I cannot express how delicious and simple this recipe is. You can serve this any time of the year, during winter or summer. 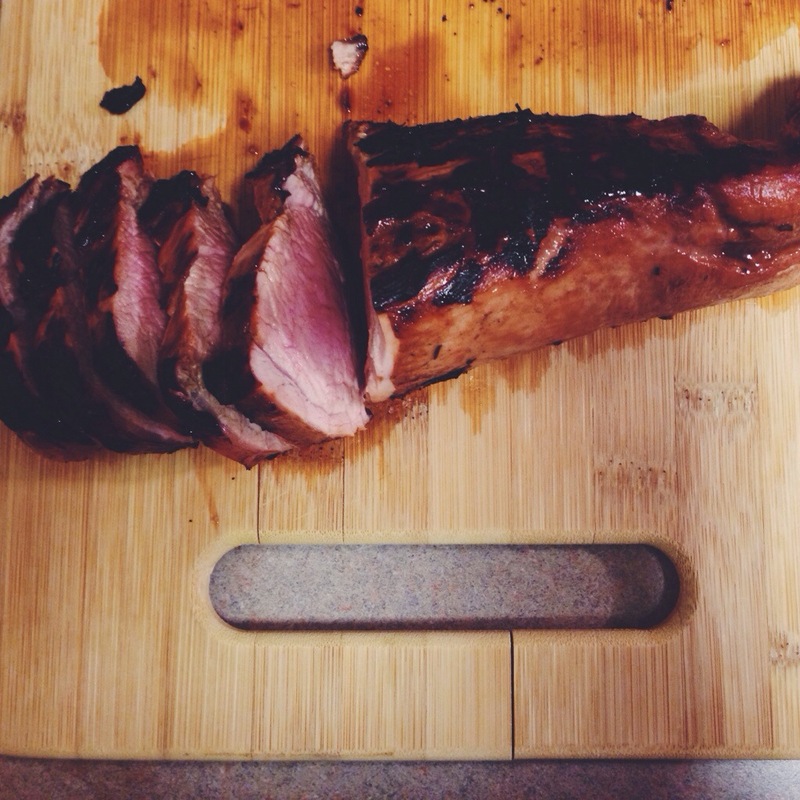 You should serve this pork tenderloin with grilled vegetables. If it is cold outside, French Onion Soup and mashed potatoes will make a fabulous dinner. The pork tenderloins usually come in a package of 2 pieces. You can freeze this other piece and make it another day. But you will be extremely disappointed when you run out of pork tenderloin leftovers to eat on your salad for lunch or for your tenderloin sandwiches. You do not have to marinate these for a full 12 hours. But the longer you do, the more flavor the meat will have. It is pretty easy though to put the tenderloins in the marinade first thing in the morning and they will be ready to go on the grill for dinner. I have had good results though with just 2 hours in the marinade. Definitely serve this with a fruit forward red wine, you should try Pepperwood Grove Merlot. This is a fabulous and versatile value wine from Chile. If you are lucky you can find their “green boxes” which are super portable and environmentally friendly. They are 100% recyclable containers and use less energy for production. 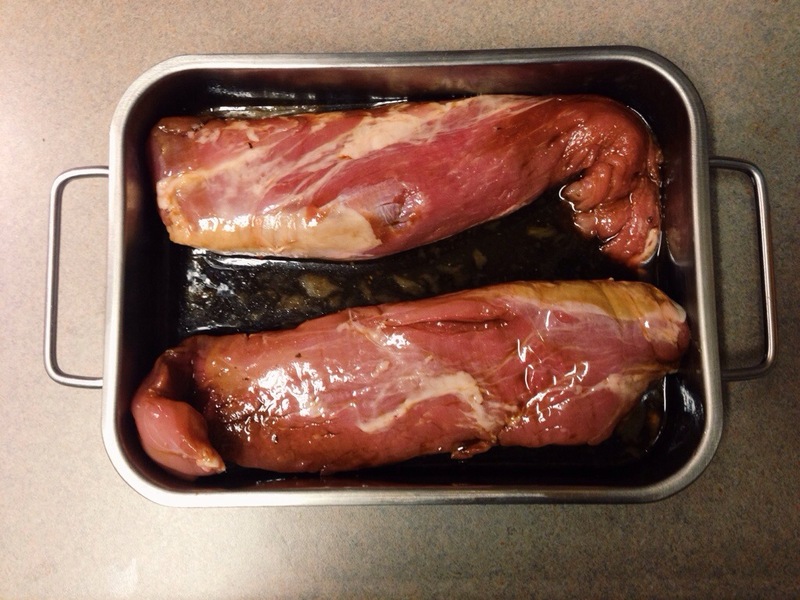 Trim the fat from the pork tenderloins and place in a glass container or large gallon ziploc bag. Mix up the marinade ingredients in a small bowl. Poor the marinade over the pork tenderloins. Allow to rest in the fridge for up to 12 hours, turning over a few times if you think of it. Prepare a medium heat fire in a charcoal grill. Remove the pork tenderloins from the marinade and sprinkle with kosher salt and freshly ground black pepper. Place on the grill and cook for 20 minutes, flipping over once. This should be medium, with an internal temperature of 140 degrees. You can cook longer for medium well or well done. Allow to rest for 5 minutes before slicing and serving.